The ultra tough 10ft. super duty 3lb per foot steel U Channel sign post comes with a green baked enamel painted finish to resist rust and weathering for years to come. The 10ft Super Duty post is an excellent choice for all your long term permanent installations for any medium to large signs. 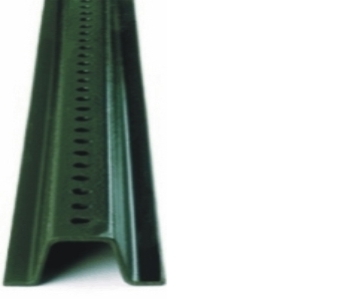 The 3lb per foot U Channel posts work with both our econo & heavy-duty street name sign brackets as well. 2-3ft of post in ground can suitably hold any sign 7-8ft above ground level.